We create the art you live within. We view landscape as an interactive, multidimensional, living art from. It should be a unique, stimulating setting that engages the senses, sparks your imagination and renews your spirit. Your landscape should have a timeless beauty that allows you to transcend the day-to-day, and greatly enhance your quality of life. We want you to awake in the morning with a desire to race outside to your own personal oasis. Our process is unique to the industry. Our clients love the attention to detail and amazing personalized catered approach. 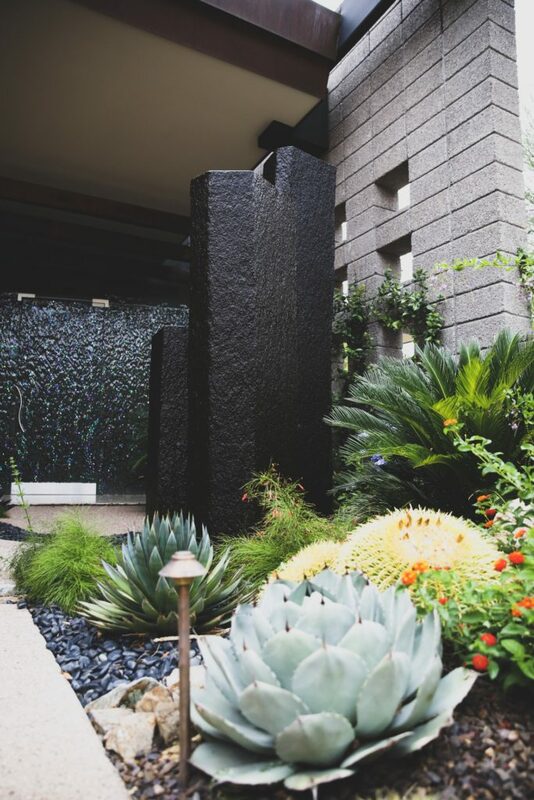 The landscape artist and project manager are able to make changes on the spot if they feel another cactus, or plant size, will create a more cohesive vignette or spectacular effect. We are completely invested in each project and enjoy having the freedom to create as we go to produce something special for each client. By getting a deep understanding of our client’s desires, we are able to work our magic of skills and talents, to produce the best possible dream scenario. Our professional and artistic landscape design team has over 100 years of combined experience creating the 'Wow Factor' that our clients demand. Our designers are always pushing the creative boundaries to give you a unique, one-of-a-kind, desert oasis that becomes your family's destination point. 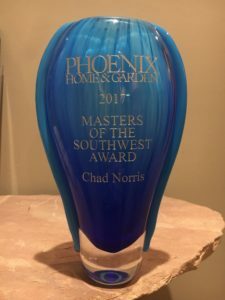 Phoenix Home & Garden honored Chad Norris (VP of Sales / Lead Designer) the 2017 Masters of the Southwest Award for ‘Best Landscape Designer in Arizona’. You won't find a more talented and passionate team of landscape professionals anywhere in the country! There is no other company in the Valley that has our capabilities to design, install, and maintain your property all under one roof! Cave Creek has been our home since 1990, and we will continue to passionately serve this community and the surrounding areas for many generations to come.